With the anime coming to Bluray/DVD this year from Sentai, Parasyte is more popular than ever—yet there hasn’t been any new Parasyte manga in over 20 years! That changes now. Neo Parasyte f is a collection of short stories set in the world of Parasyte, by a delicious mix of superstar and up-and-coming shojo artists. Yes, you read that right—this is a Parasyte shojo horror anthology. A parasite keeps a house of mysteries that is full of twisted exhibits. Another kills an entire family, only to get stuck infecting a teenage daughter obsessed with fairy tale romance manga. These and 13 more stories, from some of the greatest shojo manga artists alive today, make up a chilling, funny, and entertaining tribute to an all-time classic series! 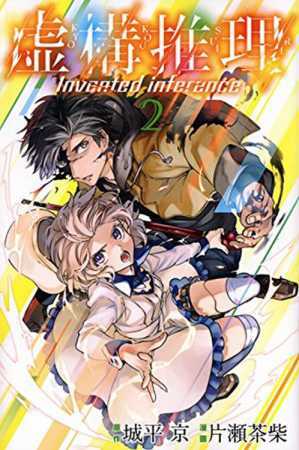 Authors include star artists such as Kaori Yuki (Godchild, Angel Sanctuary), Ema Toyama (I Am Here! ), and Asumiko Nakamura (Utsubora). Neo Parasyte f is coming in a single volume, this Fall. 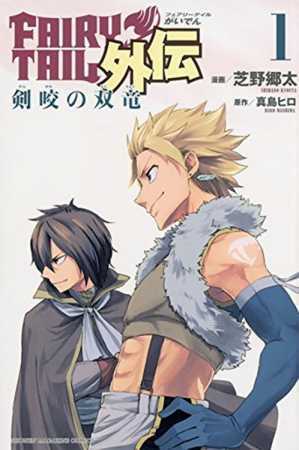 Our fourth new print license of the day is a new single-volume Fairy Tail spinoff following the adventures of Fairy Tail’s most popular dragon slayer duo, Sting and Rogue of the Sabertooth guild, from Kyouta Shibano and Hiro Mashima. An argument over one of their companions splits the Twin Dragons up! But when Sting tries to take on the golems of Obstone Village on his own, he’s left crushed, with his magic stolen. Could this job actually be a sinister trap set for Sting? And will Rogue forgive him and arrive in time to save his life? Attention, fans of cute comedy and monster girls! Our third new print license of the day is the adorable Interviews with Monster Girls, by Petos. Monsters of legend walk among us, going by the name “demi-humans.” Ever since he’s discovered the “demis,” one young man has become obsessed with them. So when he gets a job as a teacher at a high school for demi-girls, it’s a dream come true! But these demis, who include a rambunctious vampire, a bashful headless girl, and a succubus, have all the problems normal teenagers have, on top of their supernatural conditions. How to handle a classroom full of them?! 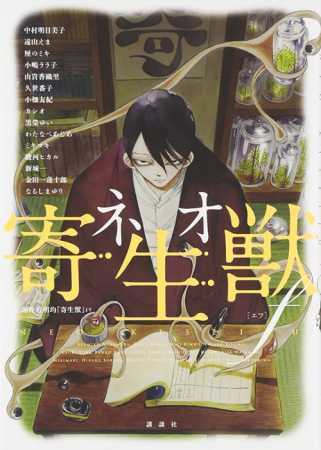 Our second new manga license of the day is a supernatural seinen manga with a twisting and twisted mystery plot. 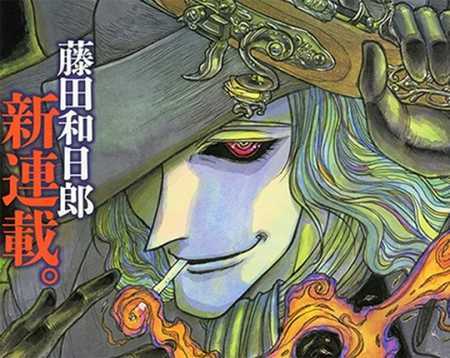 It’s Black Museum: The Ghost and the Lady, by manga legend Kazuhiro Fujita, creator of Ushio and Tora. Oh, did we mention the “lady” of the title is real-life social reformer Florence Nightingale? Volume 1 of this two-volume series is coming this Fall. 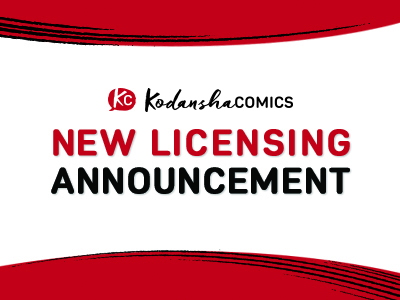 Our first new print license of the day is Nekogahara: Stray Cat Samurai. 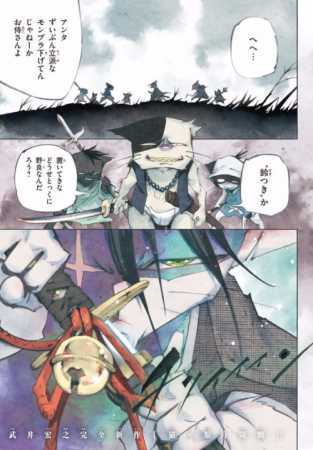 This is a stylized action manga from Hiroyuki Takei, creator of the smash hit manga and anime Shaman King. In medieval Japan, a bell hanging on the collar is a sign that a cat has a master. Norachiyo's bell hangs from his katana sheath, but he is nonetheless a stray—a ronin. This one-eyed cat samurai travels across a dishonest world, cutting through pretense and deception with his blade. Our final manga announcement of the day is the new Attack on Titan spinoff, Attack on Titan: Lost Girls the Manga! With a story by Attack on Titan creator Hajime Isayama himself, this is the backstory of Annie Leonhart and Mikasa Ackerman, the series’ two most beloved female characters. The novel is due out this June from Vertical! Attack on Titan: Lost Girls the Manga is coming to print this summer. 5pm (Eastern Time): Cells at Work! 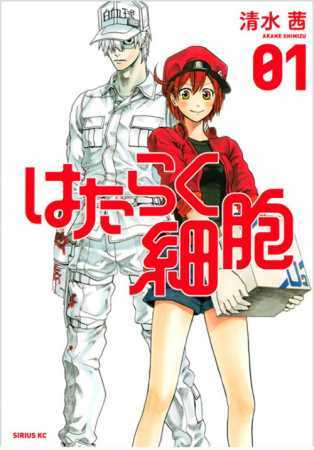 Our sixth new print manga of the day is Cells at Work! by Akane Shimizu, known in Japan as Hataraku Saibo. This is an action shonen manga set inside a human body! The average human body contains about 60 trillion cells, and each of them has work to do! But when you get injured, viruses or bacteria invade, or when an allergic reaction flares up, everyone from the silent but deadly white blood cells to the brainy neurons has to work together to get through the crisis! 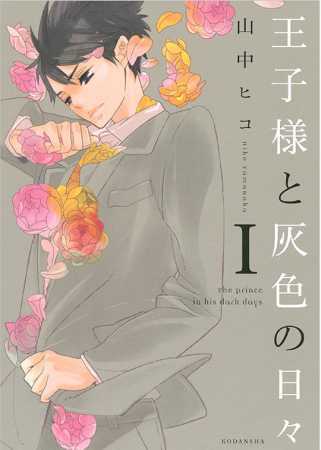 Our fifth new announcement is the emotional, rags-to-riches four-volume romantic drama The Prince in His Dark Days by Hiko Yamanaka. Atsuko's father is a drunk, and she's shunned by her classmates as "the poor kid." Walking the streets in a dark fog of despair, Atsuko cons perverts out of their money to survive. Then, one day, she meets Itaru, the heir to a wealthy family, who happens to look exactly like her. Itaru hatches a plan: Atsuko will live his tedious public life for him, and she will get a taste of the luxuries enjoyed by the 1%. Everybody's (finally) happy. Right? Our fourth announcement of the day is Welcome to the Ballroom by Tomo Takeuchi, an action-packed, beautifully-drawn shonen battle manga … except with ballroom dancing! Fujita has drifted through middle school aimlessly, unable to find friends or anything that can hold his attention. Then, one day, he’s attacked by a gang and saved by a mysterious man. But this isn’t a karate master; it’s a ballroom dance instructor! Reluctantly, Fujita takes a few beginner’s classes, only to find his inspiration … an entrancing, teenage dance prodigy named Shizuku. It’s Fujita’s first step into the high-octane world of competitive dance! Volume 1 of Welcome to the Ballroom is coming to print this Fall. 2pm (Eastern Time): That Wolf-Boy Is Mine! Our third new license of the day is That Wolf-Boy Is Mine! by Yoko Nogiri, known as Watashi no Ookami-kun in Japan. 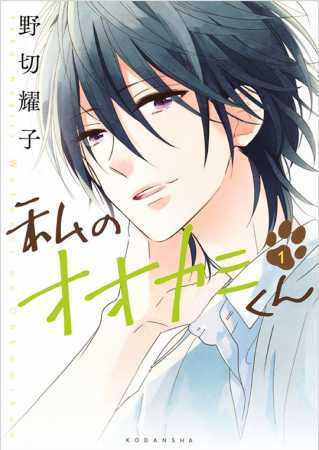 This is an adorable romantic comedy full of shapeshifting boys, in the vein of Fruits Basket! 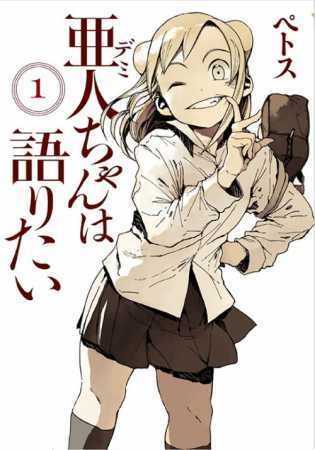 Komugi’s not sure what to expect when her family moves to remote Hokkaido and she starts at a new high school. But she certainly didn’t expect a boy to come up to her and say, “Gee … you smell good!” That boy is Yu Ogami, and Komugi finds herself strangely drawn to him. But when she sees him in an unguarded moment, she discovers he’s half wolf! Now she has a choice to make: to keep his secret, or to ask for help and risk angering a wolf-boy? Our second print license is In/Spectre, known in Japan as Kyokou Suiri, with art by Chasiba Katase and story by the renowned mystery author Kyo Shirodaira, creator of Spiral, Record of a Fallen Vampire, and Blast of Tempest. When she was still just a girl, Kotoko was kidnapped by yokai. These spirits made her into a powerful intermediary between the spirit and human worlds, but this power came at a price: an eye and a leg. Now, years later, she watches out for dangerous yokai while developing feelings for a young man named Kuro, who is also special: an incident with a yokai has given him healing powers. He’s surprised when Kotoko asks him to team up to handle renegade yokai, preserving the thin line between reality and the supernatural. 12pm (Eastern Time): Sweetness and Lightning coming to print! 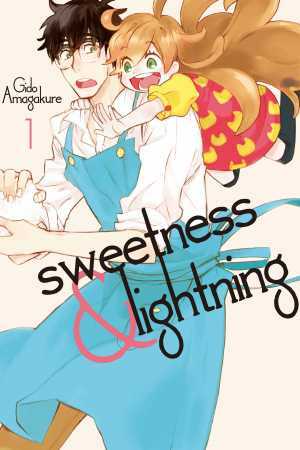 Kodansha Comics is proud to announce that Sweetness and Lightning by Gido Amagakure (already available on Crunchyroll and in ebook formats) is coming to print, with Volume 1 releasing July 2016—just in time for the premiere of the anime adaptation. Teacher Kouhei is a single father who is terrible at cooking. His adorable little daughter Tsumugi barely remembers the cooking of her mother, who’s passed away. But, then, the pair comes across a teenage girl eating rice balls and crying (in joy?) at the park. She takes Kouhei and Tsumugi to her mother’s restaurant, where they taste their first home-cooked meal in ages. A tribute to the power of food to bind people together!